Animal Studies $40,000 50% Conduct studies with mice: screen viable embryos with , implant into mice, and verify that a successful pregnancy occurs. Mice must be purchased to conduct these studies. Prototype Development $30,400 38% Miniaturization of to allow for streamlined operation in the clinical setting. 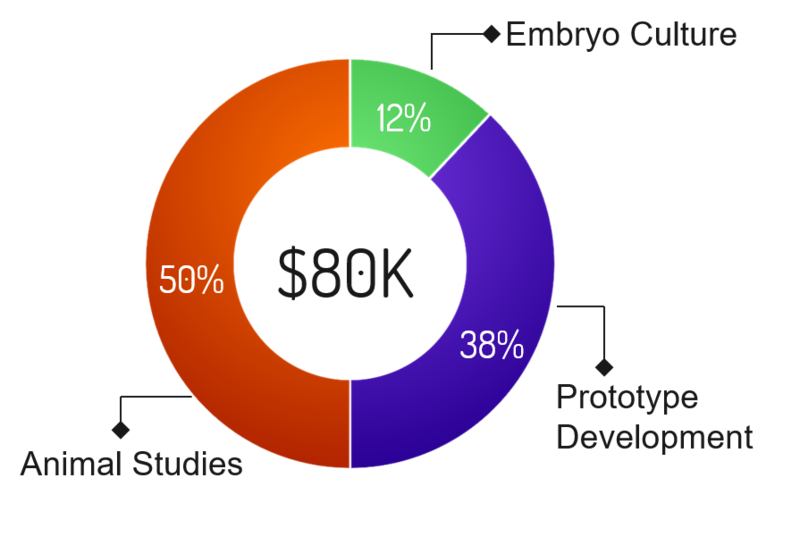 Embryo Culture $9,600 12% Costs associated with culturing embryos, including CO2, O2, N2, and media. Device Production $180,400 44% Funds required to begin producing devices. We do not anticipate an immediate adoption of our technology by a large number of IVF clinics. Therefore, we will begin with one off production. Non-clinical Safety studies $151,700 38% Conduct non-clinical safety studies focusing on the safety of our device. Some concerns include electrical safety, fire hazards, embryo damage (DNA), laser power, wavelength of excitation, and software debugging among others. These studies are critical in obtaining FDA approval. 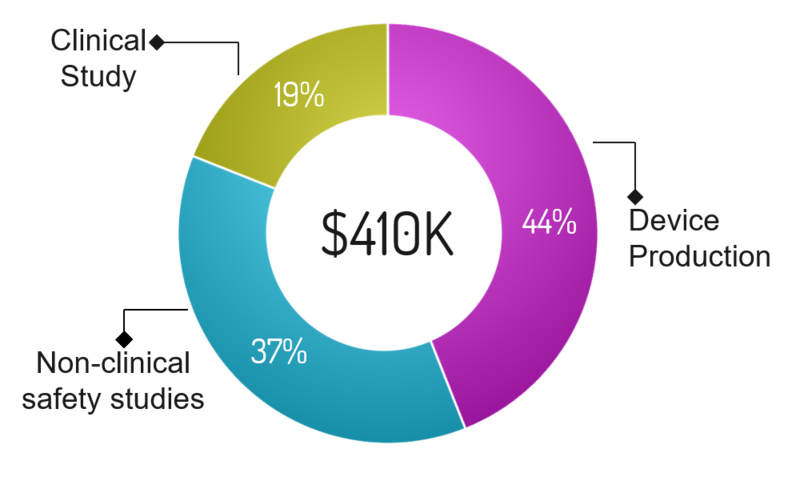 Clinical Study $77,900 12% Conduct a clinical study focusing on safety and whether the screened embryos develop into successful blastocysts (similar to Eeva’s study). Funds will be allocated to 4 devices at different IVF clinics and required workers to conduct the studies. Embryos will be donated. Embryos will be donated. The study is critical in obtaining FDA approval.